The two types of brain injuries are traumatic and acquired. A traumatic brain injury stems from outside sources, such as blunt force trauma to the head or brain. An acquired brain injury affects the brain through internal factors. A hypoxic brain injury is a type of acquired brain injury in which the brain suffers a lack of oxygen. Lack of oxygen can cause serious and permanent brain damage to the victim. The brain needs oxygen to survive. An adult brain requires around 20% of the body’s total oxygen supply. Oxygen helps the brain create glucose, the brain’s main source of energy. A complete loss of oxygen supply (cerebral anoxia) will result in loss of consciousness within about 15 seconds. Slower oxygen depletion (cerebral hypoxia) can cause drowsiness or delayed loss of consciousness. The brain can only go about four minutes without oxygen before it begins to sustain irreversible damage. Hypoxia refers to some oxygen making it to the brain, but not enough for normal and healthy brain function. A hypoxic brain injury can starve the brain cells of oxygen, and eventually lead to permanent cell damage or death. Brain cell impairment can be irreversible. Symptoms of a hypoxic brain injury include headache, confusion, loss of memory, vision problems, imbalance, trouble speaking, motor impairment, mood changes, depression, and forgetfulness. What Can Cause a Hypoxic Brain Injury? Anything that interrupts the flow of oxygen to the brain could cause a hypoxic brain injury. While an accident like a car crash is more likely to cause a traumatic brain injury, accidents that involve loss of airflow cause hypoxic brain injuries. These may include dangerous products choking children, medical malpractice causing anesthesia complications, umbilical cord prolapse strangling an infant during labor or delivery, or many other situations. Diagnosing a hypoxic brain injury can be difficult, since many circumstances leading up to the injury may not directly involve the brain or head. Inhaling smoke, for example, may not lead to a physician recommending a brain scan right away. Some injuries may remain undiagnosed, if they caused minor damage to the brain and the victim fully recovered. In other cases, serious hypoxic brain injuries may cause more noticeable damage or death. Hypoxic brain injuries can affect the victim for life. 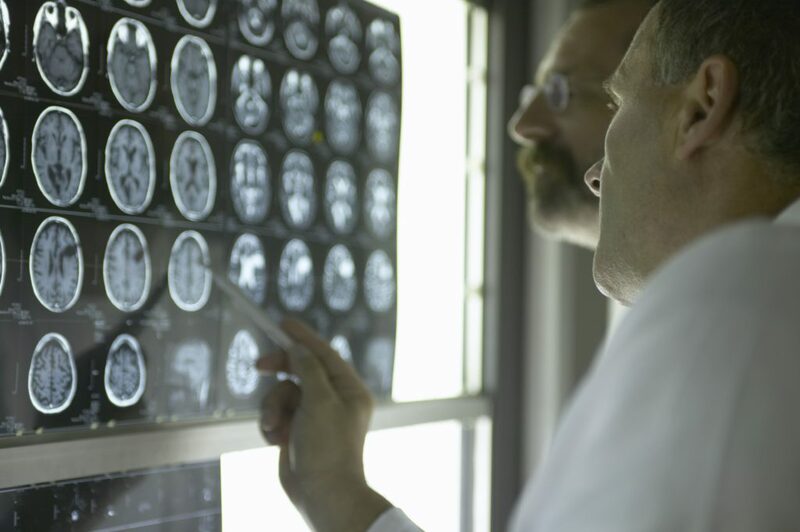 Minor cases can result in symptoms similar to a traumatic brain injury. These may range from recurring headaches to cognitive difficulties. Victims of minor hypoxic brain injuries may expect full recoveries, with no lingering symptoms after healing. Severe hypoxic brain injuries, however, could cause permanent brain damage or put the victim in a vegetative state. It is rare for a victim to fully recover from a significant hypoxic brain injury. The lasting symptoms of a serious brain injury depend on the part of the brain that sustained damage. Different parts of the brain are in charge of controlling different functions, such as memory or motor function. Some patients may never fully recover from severe hypoxic brain injuries. Age, duration of loss of oxygen, and duration of a coma can help predict a patient’s prognosis. Brain scans can also show the extent of the damage to the cells. Suffering a hypoxic brain injury because of someone else’s negligence, such as a property owner failing to keep children out of a swimming pool, could result in grounds for a personal injury claim. A victim or his or her family could pursue compensation from the at-fault party in California. An insurance settlement or judgment award could cover the costs of past and future brain injury medical care, lost wages, lost earning capacity, pain and suffering, and more.